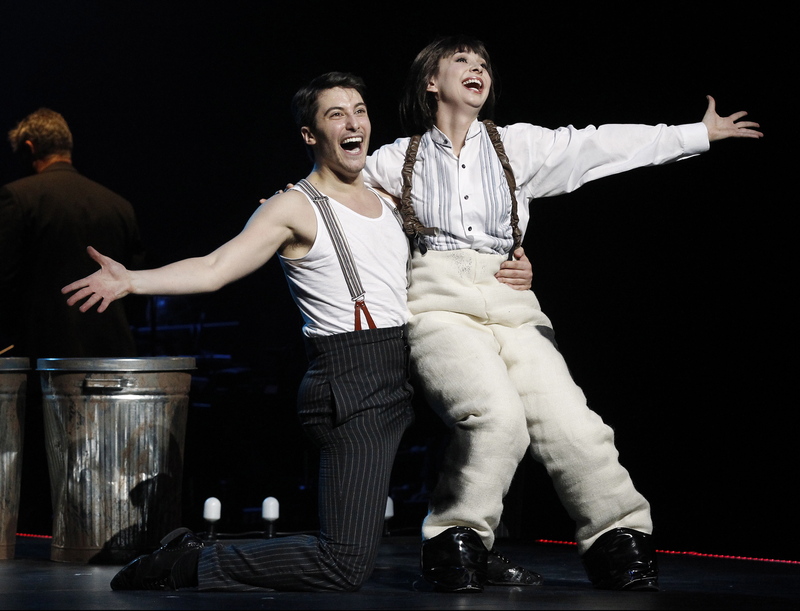 Five stars do not seem enough for The Production Company’s phenomenal concert staging of Gypsy, which reaches a zenith in all aspects of production and performance. Cast and creatives are at the top of their game in this superbly crafted production of the ultimate backstage musical. The cost of ambition and the pain of regret play out against the death of vaudeville in this most cherished and revered classic from Broadway’s golden age. The driving passion and blind fury with which mighty Mama Rose pursues fame and glory for her daughters is the very aspect which drives away their chances of achieving it. “If you love someone, set them free” is not a mantra with which this stage mother from hell has any familiarity. Director Gale Edwards has once again proved herself the master of the twins skills of bringing a unique vision to a production along with coaxing the best possible performance from her (extremely well cast) actors. Luscious colour and vivid images fill the massive space of the State Theatre on a scale beyond that which is possible on a regular-sized stage. Scenery is danced on and off as scenes transition with an effortless flow. The fully realized characters and nuanced details make the story completely engrossing and ultimately devastating. It must be mentioned that purists will lament the excising of certain lines of dialogue and parts of scenes from Arthur Laurents’ acclaimed book. It is presumed that some would have been difficult to stage, some references are now too dated and obscure, and some were just cut for expediency. While this judicious trimming can be viewed as sacrilege, it is hard to argue that the resulting product has not benefitted in terms of flow and focus. Musical director Guy Simpson leads Orchestra Victoria in a sparkling rendition of Jule Styne’s celebrated score. That the audience sits in complete silence to enjoy the five-minute overture, and the entr’acte, gives a strong indication of the quality. The full zip, zing and colour of the music, as well as Stephen Sondheim’s ingenious lyrics, can be fully enjoyed thanks to the pristine sound design of System Sound. 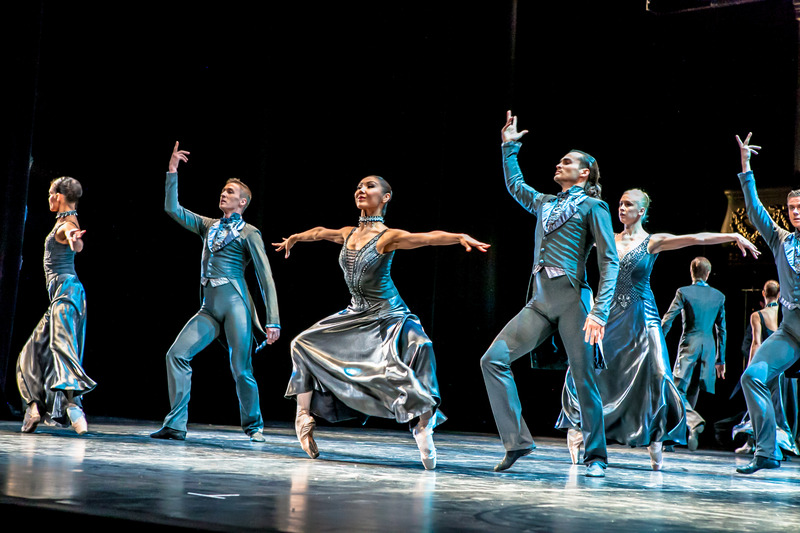 Andrew Hallsworth’s choreography is reliably witty, spectacular and highly polished. His trademark brilliance with props is seen when an impromptu parade bursts out during “Mr Goldstone.” The troupe’s vaudeville numbers are sensational, particularly the boys with their canes in “Broadway.” Hallsworth’s work achieves the distinction of showcasing terrific dancing whilst also highlighting Madame Rose’s limited creativity with choreography. 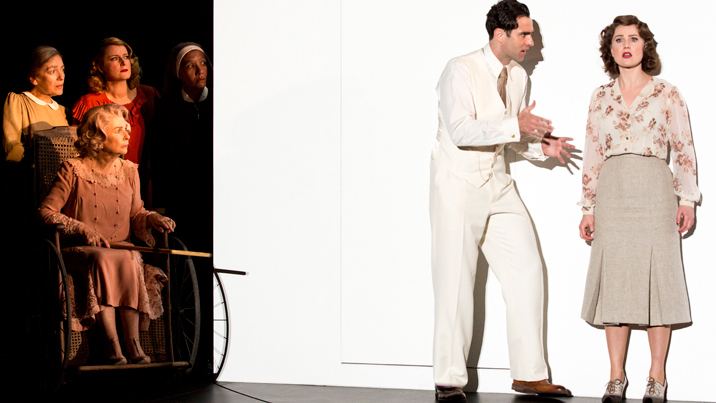 Scenic and costume design far exceed expectations given TPC’s origins in concert stagings. The fairylight-fringed, raked platform stage and massive star-cloth initially seen on the stage are presumed to be the sole set, but backdrop after backdrop flies in, playing a significant role in charting the ragtag family’s rise and fall in theatres of varying pedigree. Set designer Adam Gardnir has used the stage height to full advantage, working collaboratively with lighting designers Paul Jackson and Robert Cuddon to paint the stage in rich colour whilst also honing in on the action for the more intimate scenes. One slight flaw is that theatre signs have clearly been made on computers and are generally too modern. Choreographed scene changes also point to Gardnir’s close collaboration with Hallsworth. Further wit and flair are evident in Tim Chappel’s costume designs, which also add substantially to the storytelling. Rose’s deluded insistence in keeping her performers eternally young is seen in adult June’s ludicrous ruffled petticoats, while Louise is kept in baggy tomboy sacks until her reveal as a gorgeously curved young woman. Rose’s makeshift costumes for the troupe are a hoot, particularly those for the Toreadorables. And the outfits for the three strippers are beyond perfection. Local audiences potentially might have lost track of Caroline O’Connor in recent years. Following huge success here in West Side Story, Man of La Mancha and, of course, Chicago. O’Connor has been off becoming the toast of the world stage, from Paris to London to New York, and her return to our shores is an event worth celebrating. 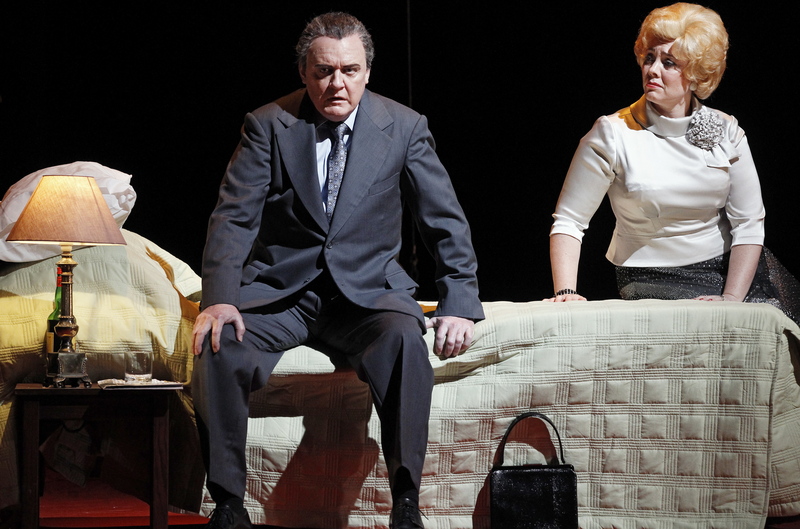 To say that O’Connor hits this performance out of the park is a gross understatement. She inhabits the role with all her being, expending the full might of her singing and acting power into the epic role. From force of nature to vulnerable woman, from brazen advocate to tragic clown and from mother to monster, O’Connor takes our hearts only to leave them broken. Given the towering performance of O’Connor, it is a testament to the talent of the rest of the cast that their work stands up so strongly. Matthew Hetherington plays against type as meek agent and suitor Herbie, successfully conveying the simmering frustration of a man who allows himself to be trampled for too long. Despite the slight age difference, Hetherington and O’Connor enjoy strong chemistry, making poor sweet Herbie and thrice-married Rose a believable couple. 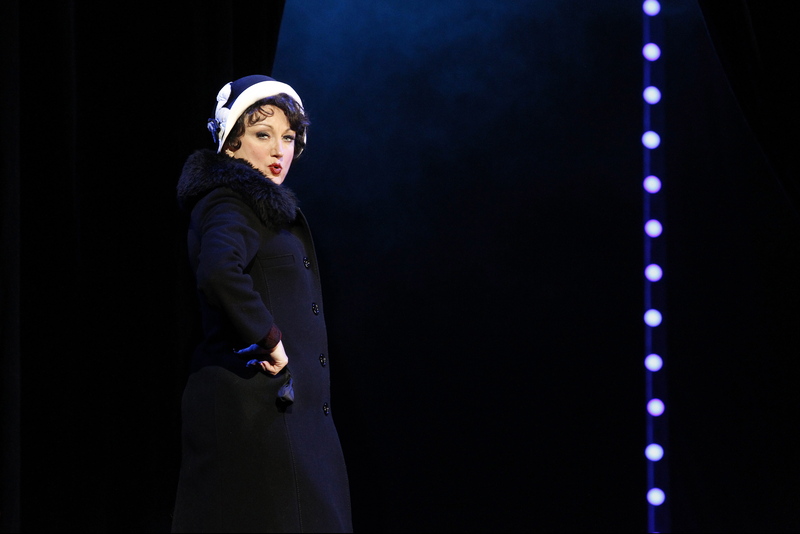 In an astonishing breakout performance, Christina Tan gives an incredibly polished, highly accomplished performance as timid and sensitive Louise, who goes on to be title character Gypsy Rose Lee. Adorably doe-eyed, and with a beautiful speaking voice, Tan is completely endearing as the earnest young Louise, and the poise and assuredness of her transition to Gypsy are wonderful to behold. A trio of leading ladies are a delicious treat in the cameo roles of the broken down burlesque dames who teach Louise the finer points of striptease. Chloe Dallimore is a vision in pink as tinkling butterfly Tessie Tura, whose tired cynicism is brushed aside by the fresh blood of Louise. Nicki Wendt is as brassy as her trumpet as strident stripper Mazeppa. Anne Wood creates a hilarious contrast between the glittering sparkle of her outfit and the weary countenance of her character Electra. Wood scores extra points as the delightfully droll secretary Miss Cratchitt, she of the stunning black and white deco dress, white wig and glasses. Gemma-Ashley Kaplan delivers a perky, energetic performance as Baby June, conveying the strain beneath the perennial smile June is forced to wear. Strong support comes form Frank Garfield and Glen Hogstrom in a number of featured roles. 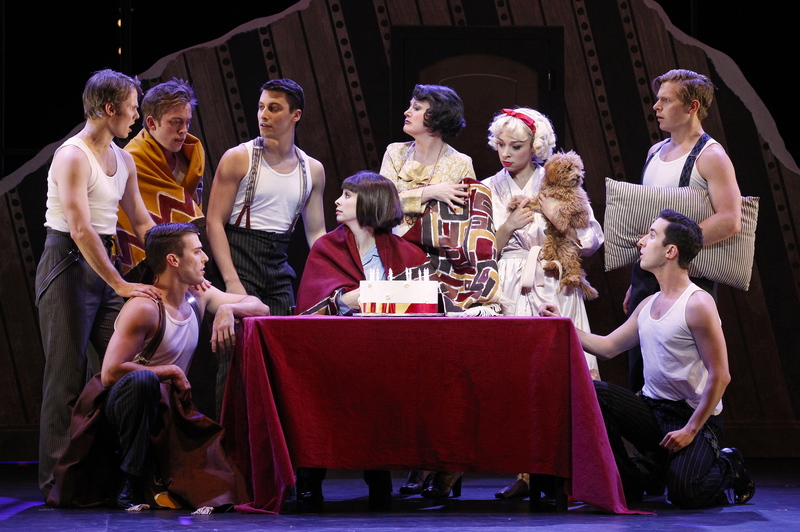 If this production and cast of Gypsy were on Broadway, audiences would be clamoring for premium $350 tickets. This is must-see theatre that will be talked about for years to come. Do not miss out. 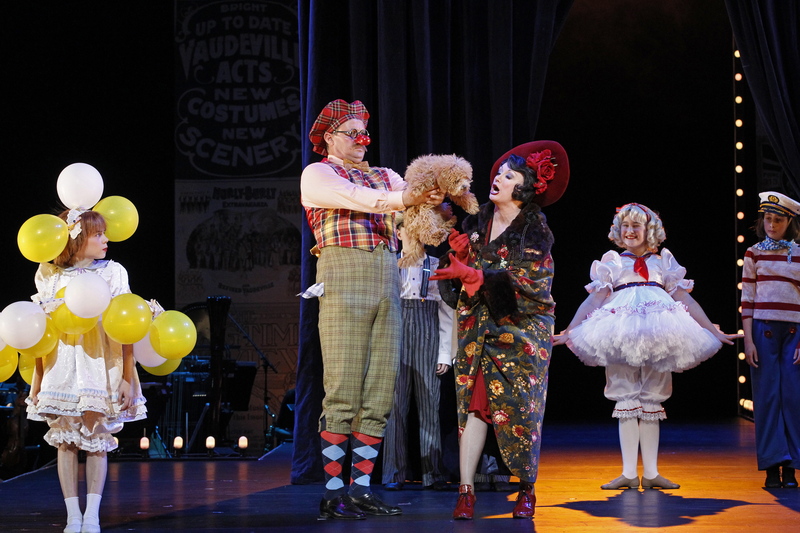 Gypsy plays at State Theatre, Arts Centre Melbourne until Sunday 14 July 2013. Completely agree! I saw a matinee of the production and am still kicking myself that I only saw it once. Caroline O’Connor was wonderful in the role and I’m desperately hoping that they bring it back for an Australian tour! Thanks for your comment Mark! I was lucky enough to go three times! Surely the highlight of Melbourne theatre this year. An Australian tour would be awesome. 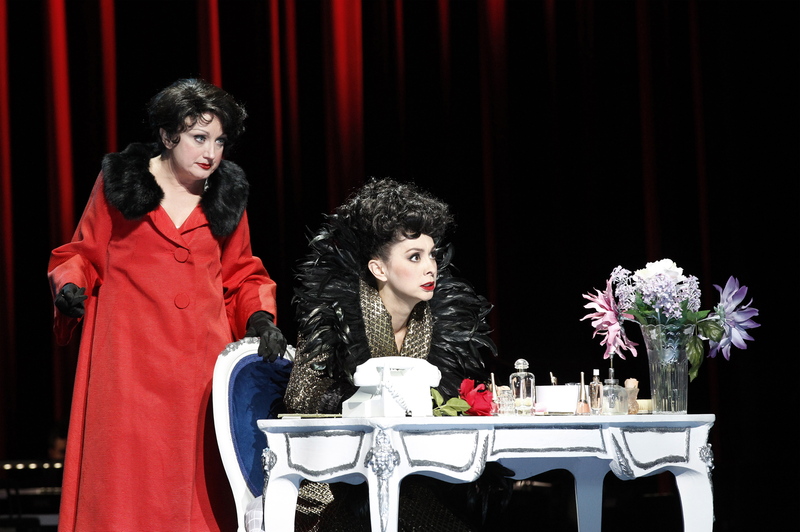 At the very least, I hope we see Caroline O’Connor on stage here again soon. I know I will be there whatever the show!